If you go into any health food store and check out the food bar section, you’ll see a whole lot of products that look virtually the same. Cereal bars, energy bars, protein bars, meal replacement bars – it can be really hard to know which one is right for you! In this article I want to explain the difference between two main types of protein bar – meal replacement and post workout – so you buy the one that is right for your needs. Meal replacement bars are designed to help you lose weight. They provide all the nutrients you need to stay healthy but without many of the calories. By exchanging a high calorie meal for a low calorie bar, you instantly reduce your calorie intake and create a calorie deficit so your body is more likely to burn fat for fuel, “How Protein Bars help me to lose weight”. 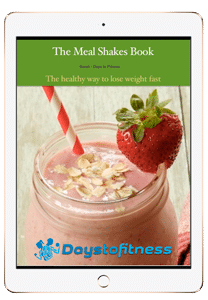 Meal replacement bars make dieting easy as it means you don’t have to cook special meals, or weigh and measure your food – simply swap one or two meals for a bar per day and you’ll lose weight. Simple, “Reduce Cravings Between Meals and Lose Weight”. You can also eat a meal replacement bar as a healthy snack,“Healthy snacks to help you lose weight”, between regular meals. They taste sweet like a candy bar but with far fewer calories. The snack replacement bar I use and recommend here. Post workout bars are designed to speed up your recovery after exercise by putting back into your body what your workout took out. Exercise causes a type of tissue breakdown called catabolism – think catastrophe. To recover from exercise, your body needs nutrients like protein, carbs, vitamins and minerals. The sooner your body gets these nutrients the sooner it can get on with the job of recovering from exercise – a process called anabolism. Immediately after exercise, your body is extra sensitive to the effect of these nutrients – imagine your muscles and cells as dried out sponges. Almost all food consumed straight after exercise will be preferentially directed to your muscles to kick-start recovery. The sooner you can eat after exercise, the faster you will recover. As eating a proper meal or even drinking a protein shake might be inconvenient, the next best option is to eat a post workout protein bar. Tasty, filling, easy to eat and loaded with all the important nutrients your body needs, you can eat a protein bar immediately after your workout quickly and easily. Being higher in calories, post workout protein bars are not so good for weight loss except for men who may need a more substantial snack. Women may want to cut a post workout bar in half to avoid consuming too many calories. There are a lot of post workout bars, here I recommend one and explain why. It’s clear then that meal replacement bars and post workout bars are very different and you should choose the bar that is right for your goal. If you want to lose weight, meal replacement bars are your best choice; they are low in calories and carbs and make an ideal substitution for one or two meals per day. However, after a workout and to kick-start recovery, a higher calorie/higher carb post workout bar would be a better choice. Whichever bar you choose make sure you check out my guide to “The Best Protein Bar for You” to make sure you get the best bar for your needs and to read my recommendations for the best protein bars on the market right now.